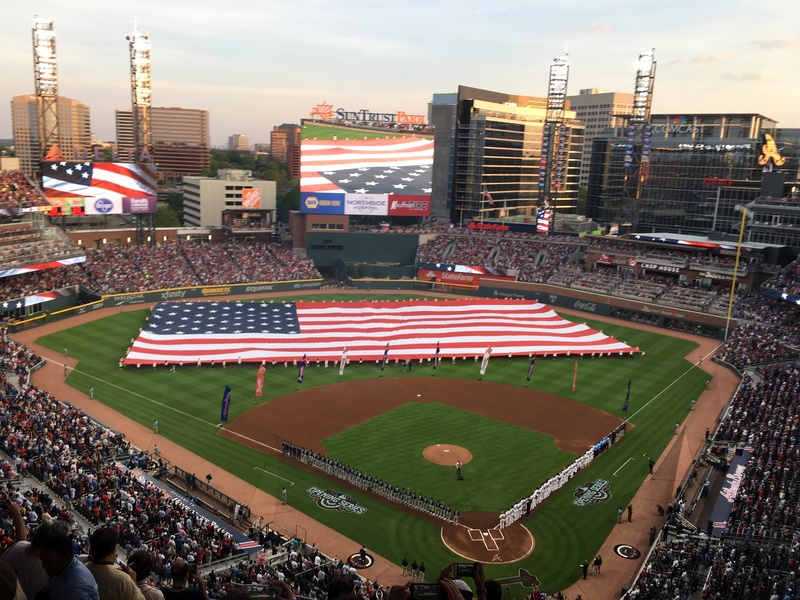 While the Atlanta Braves, who play at Suntrust Park in Atlanta, GA, do not have a permanent kosher stand, there will be kosher food available on Sunday, May 21st in a game against the Washington Nationals. For that game, kosher food items will be available for purchase from Keith’s Corner Bar-B-Que at the Batter’s Eye Deck located in Center Field above Section 152. Tickets can be purchased to sit with the kosher group here. Kashrut for the food available is provided by the Atlanta Kashruth Commission.